Funny Dog Pix - Serving up the best Funny Dogs on the web. Thanks for visiting Funny Dog Pictures. Here is today's funny dog of the day! We are here to provide you the greatest funny dog pictures on the internet. funnydogworld is updated several times a day, every day 365 days a year.. BookMark Us by pressing Ctrl + D on your keyboard and check back daily for the Funniest Dogs on the web. Head over to our contact page to submit your funny dog pics. Click on the thumbs to see the full sized images. 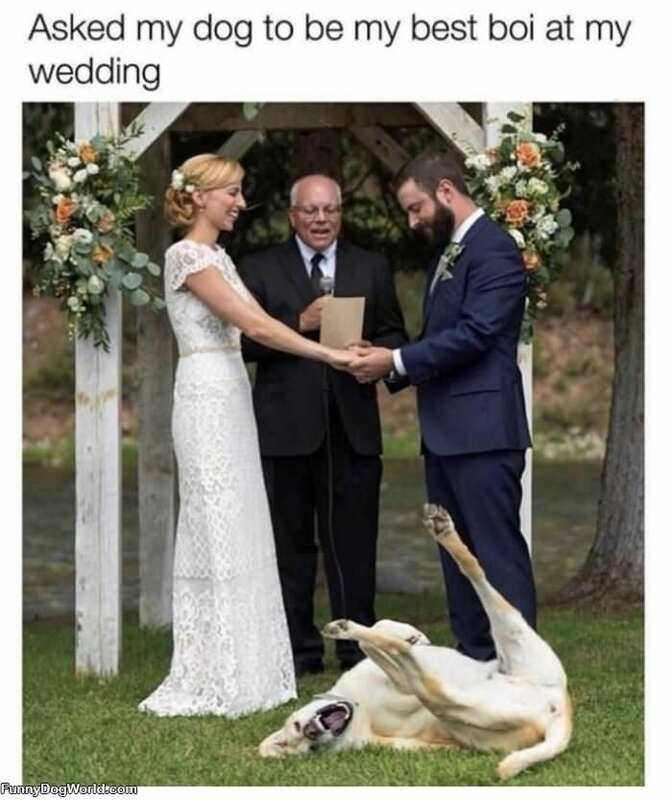 Thanks for visiting funnydogworld.com , we hope we have made you smile a bit with our funny dog pictures selection. Please send us pictures of your dogs anytime and we will try to post them to share with everyone. Any dog lover is welcome here to submit their pictures for us to post. Here are a couple other fun sites for dog lovers ! Funny Pug Pictures - Daily PugDog Updates from funnypugsite.com that everyoen will love. Funny Puppy Pictures - Funnypuppysite has awesome puppy pictures for you to enjoy.